THIS LOADED CASCADIA HAS THE DT12 AUTO! Fleet Maintained & Sharp FL Casacadia Condo w/ DT12 Auto! 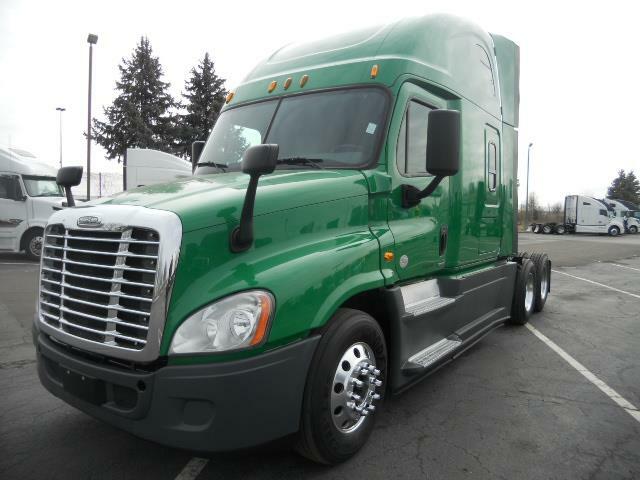 * 2015 FL Cascadia Condo in SHARP green mettalic paint* Detroit DD15 engine has big horsepower & yet economical. * Detroit DT12 12 sp auto trans = Great MPg's & smooth! * This truck is super clean & looks fantastic in & out! * D.O.T Ready, PM serviced & professionally detailed. * Easy "IN-HOUSE" financing makes 1 day delivery possible! * 90 Day Arrow Confidence+ Power-train warranty included! * Extended warranty w/ aftertreatment/DPF coverage avail! * 24/7 Roadside assistance is also available to you too! * Please call or stop by to start the easiest process! * ARROW CHICAGO IS THE #1 PRE-OWNED DEALER IN THE MIDWEST!